MONTREAL — A man who has been convicted of trafficking drugs and weapons and who has no citizenship from any country is expected to learn on Thursday whether he can have his release conditions relaxed. 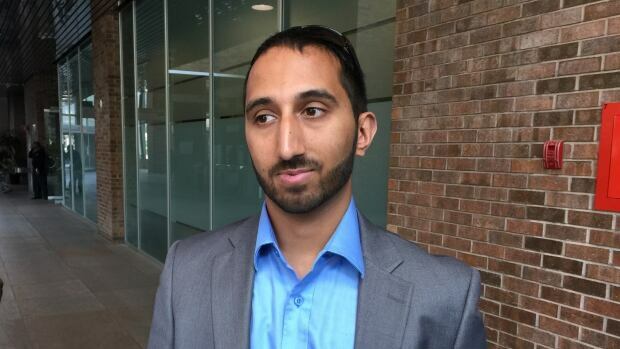 Deepan Budlakoti, 25, asked a member of the Immigration and Refugee Board on Monday to ease the restrictions of his release because he says they are psychologically harmful and violate his constitutional rights. Budlakoti says he is not an official citizen of any country and is considered a “non-status” person living in Canada. Continue reading Giuseppe’s biased coverage here. A man who was born in Canada but was never granted Canadian citizenship is now fighting the conditions of his release from custody pending a removal order. Deepan Budlakoti appeared at an Immigration and Refugee Board of Canada hearing in Montreal this morning asking that his conditions – which include remaining in the Ottawa area and periodically checking in with the Canada Border Services Agency (CBSA) – be loosened. Watch an excerpt from GlobalNews.ca documentary on End Immigration Detention Network and Justice for Deepan Budlakoti campaign. This entry was posted in Media Coverage, TV on 19/02/2015 by admin.